Check out the boys who are representing Ronin Eyewear in Hawaii. Haleiwa was pumping the other day and these guys was killing it! The waves were in the 4-6 foot range with 8 foot sets coming in. 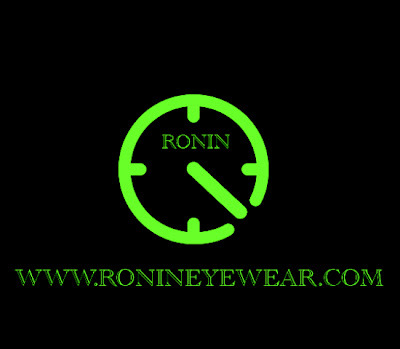 To find out more about Ronineyewear.com click in to see the shades and to keep up with the latest in Japan. I'd like to introduce to you Kapono Nahina. Kapono is one of the coolest Hawaiians that I know. He's got great fluid style and he can turn his Longboard like a Shortboard! On any given day you can see Pono pushing the progression level of Longboarding with big vertical snaps, gouging slashes, 360's and airs! Yes that's right AIRS! He can boost, for real!!! This day Kekoa decided to throw some huge open face carves instead of hanging 10. Check the style! Showing that he can truely do it on both. World Tour Rookie Kekoa Bacalso just got home from a long run of events. BAM was super stoked to be surfing Haleiwa with the boys. BAM is currently ranked #18 in the World and has one more event coming up The Billabong Pipeline Masters, December 8-20. Here is a look at BAM's magic weapon. Vesso International 6'0 and the rest of the specs are a secret. Put it this way its gotta handle the power of Kekoa's mad hacks. Speaking of hacks, here is what I was talking about! Just a little sample of what's coming up next week for the Reef Hawaiian Pro, November 12-23 at Haleiwa for the first event of the Triple Crown of Surfing.